business credit card without authorization. 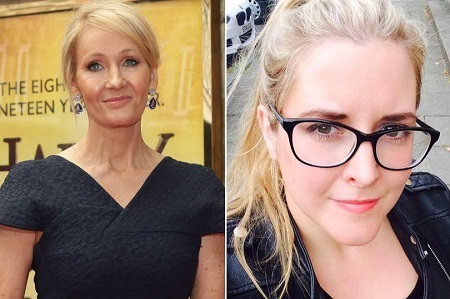 The Harry Potter creator guarantees her ex-worker Amanda Donaldson, 35, spent the extensive aggregate on the card, and grabbed £3,000 worth of stock. The alleged spending was discovered by the writer's husband, Neil Murray, according to court documents seen by The Sun . The newspaper reports that Neil, 47, contacted a Michelin-starred restaurant in Edinburgh that the PA was meant to have booked a table at, only to find that she hadn't done it despite taking a £400 deposit from a business account. JK, 53, appeared at Airdrie Sheriff Court in Scotland under her real name Joanne Murray, and is suing Donaldson for more than £24,000. The writer is claiming that Donaldson, from North Lanarkshire, took funds from her business account and spent money without her permission. Donaldson, who was fired from her job for gross misconduct, denies all of the allegations being made against her. She is being accused of spending money at designer candle firm Jo Malone and at hair salon Molton Brown, as well as splashing out £2,000 in coffee shops and £230 at book store Waterstones. The author, who is worth an estimated £500 million, told Sheriff Derek O'Carroll, that inaccuracies in her finances were discovered when her accounted reviewed a spreadsheet that Donaldson had updated. Donaldson is alleged to have "fraudulently" marked entries down for either business use or for personal use by her former boss. She is also being accused of stealing foreign currency to use for herself. The case will continue on December 6.